Hi everyone this is Mona. 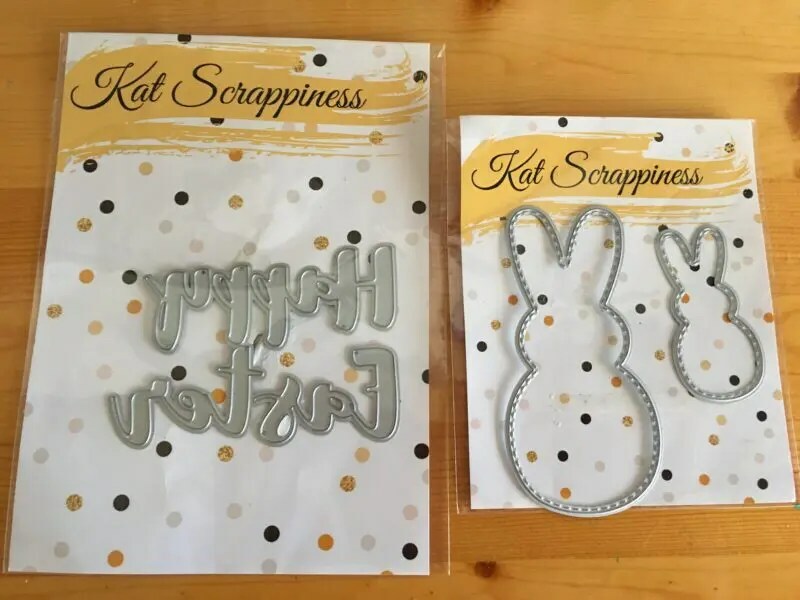 I was playing around with my Stitched Easter Peeps Dies from Kat Scrappiness and came up with this fun card. I started my card by cutting my white cardstock to 4.1/4″ x 11″with my Cutterpillar-Pro paper trimmer. I scored it at 5 1/2″ . I chose a patterned paper from my stash and cut it to 4″x 5 1/4″ and adhered it to the card base. I then took my film strip die from sizzix and die cut it using my Vagabond. I added a white strip of paper behind top and bottom of the film strip. Then came the fun part! Die cutting my Stitched Easter Peeps die. I cut two of the larger one and used my copics to colour them. 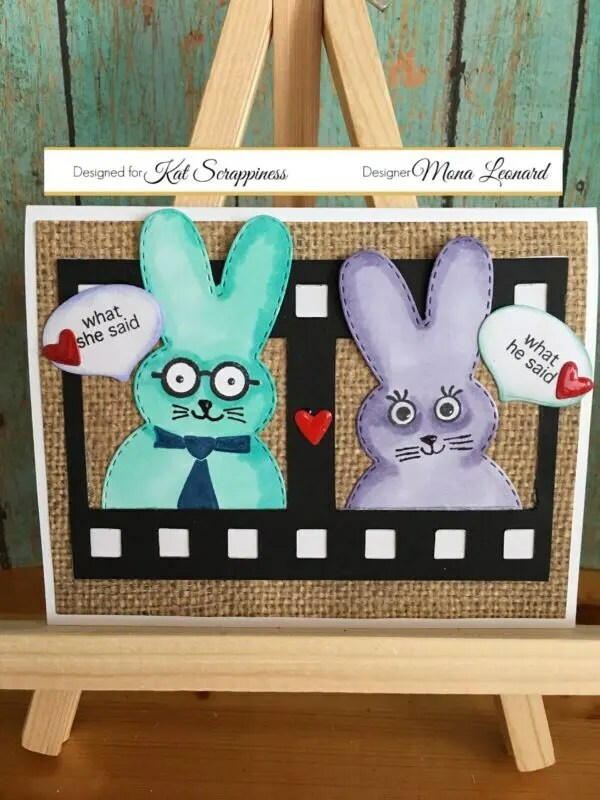 I used a stamp set from my stash to stamp the eyes and glasses on the Peeps. I also used the Happy Easter Word Die by Kat Scrappiness and coloured it purple to match my Peep. I stamped the speech bubbles using a Lawn Fawn stamp set. Both sentiments are from a mama elephant stamp set. I hope you enjoyed this mini tutorial. Thank you very much for stopping by, see you soon!